Enjoy breath-taking views from both the secluded covered deck and the spacious living room of this Texas Hill Country vacation cottage. 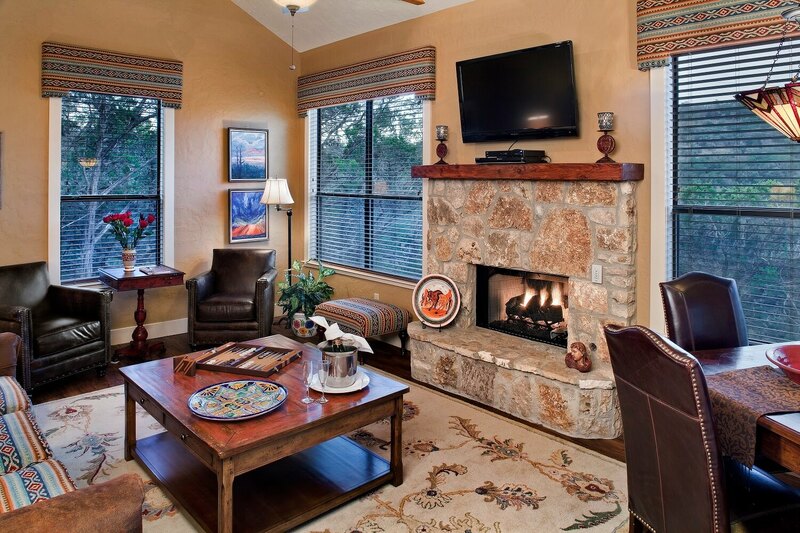 Featuring high ceilings, fireplace, a walk-in closet, wet bar, and flat-screen TV. 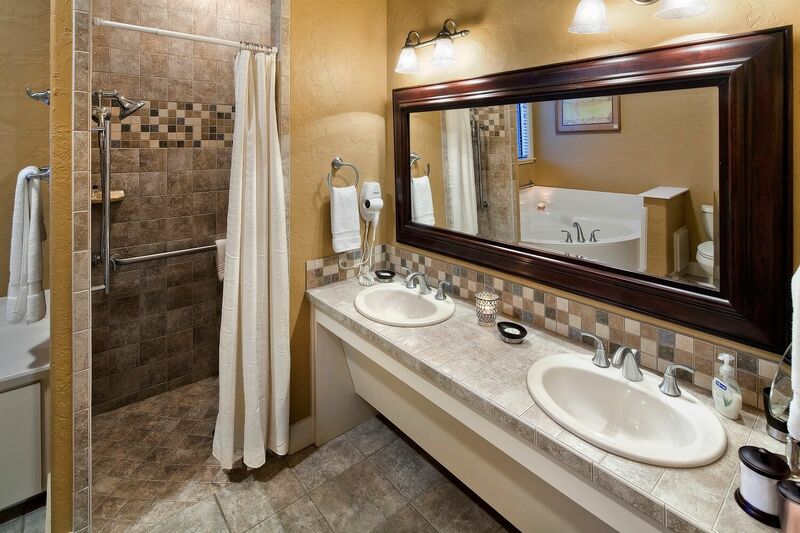 The bathroom offers a double sink vanity and a two-person whirlpool tub. 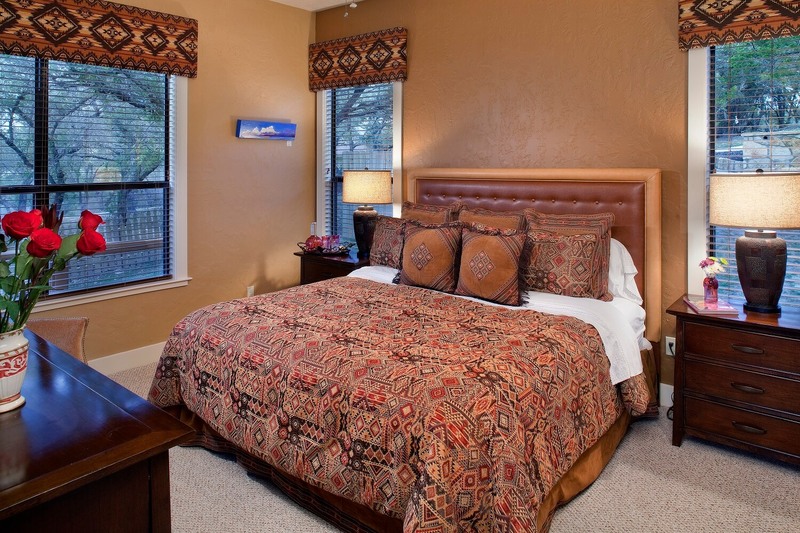 Other amenities include TV, wireless internet, refrigerator, microwave, and coffee maker. 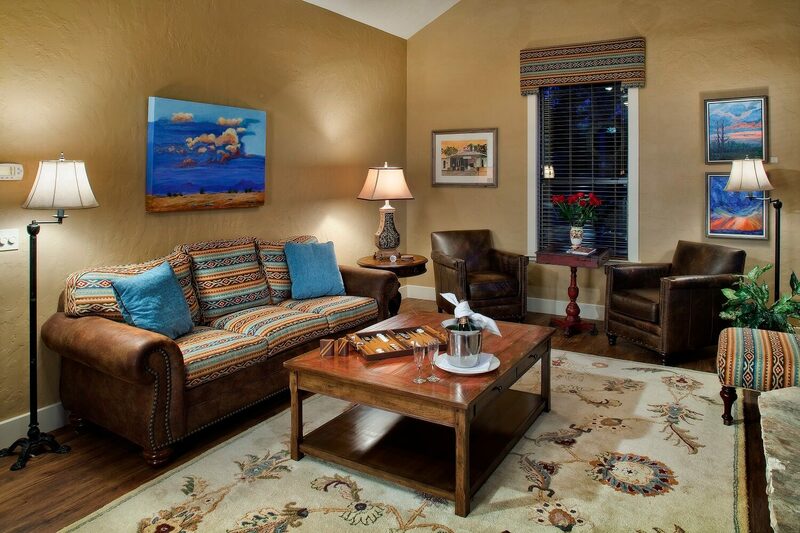 The charming décor reflects Big Sky Country – Texas Style. Reservations on weekends require a two-night minimum stay. There is a three-night minimum stay on holidays. Rates are offered on a daily, weekly, and monthly basis.